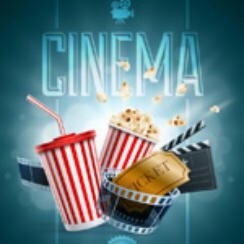 It’s that time of the week when we take a quick look at what movies are hot at the US cinema, these figures are for US cinema charts December 1 2017. With not many new releases out over the weekend there’s little change in the US movie charts this week. Disney’s Coco remains at the top of the charts taking $27,533,304 with gross to date figures of $110,108,708. Justice League is in second place with gross to date figures of $197,407,025 after three weeks on the chart. The best performer of the few new releases is The Disaster Artist entering at number 12 taking just $1,211,345. So not a very interesting movie chart this week, normal service should be resumed following this week’s new releases that said there is only one main release plus The Disaster Artist expanding across the country into most theaters, more on that on Thursday. Did Dr. Seuss’ The Grinch take the number 1 spot on the US Top 10 Movie Charts?